My first encounter with a generic barbeque sauce ended with me wondering why anyone would add sweetness to meat. Slowly barbeque sauce was familiar flavor but it never grew enough on me to buy it off-the-shelf. A few months ago, a friend of mine was constantly professing his love for anything with the barbeque sauce. After listening to him, I decided to give a fight chance to a barbeque sauce. I decided to buy one generic barbeque sauce and ended up buying three more within a short period of a month. Barbeque sauces varies according personal preference, manufactures formulation or regional nuances. 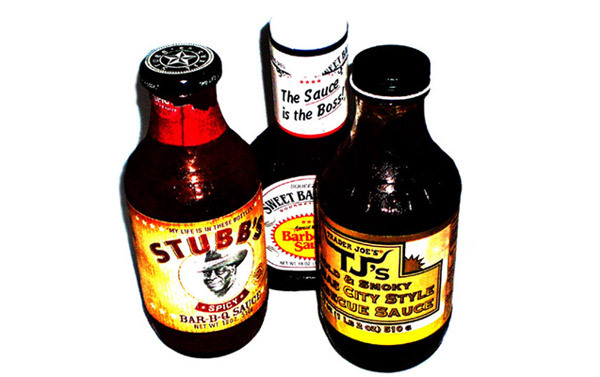 However, typically barbecue sauces consist of three of the following base ingredients, in the order of the most commonly used to more exotic ones. Tomato is most common base for barbecue sauce and lends its unique flavor and sweetness to barbeque sauces. Vinegar results in sour and thin barbeque sauce usually contained red pepper flakes or black pepper powder. Mustard based barbeque sauces have obviously spicy mustard taste and thick in consistency. Mustard sauce is usually paired with pork barbeques. Barbeque sauce is defined by your interpretation of harmonious balance between its four types of flavors; sweet, savory, sour, and heat/spicy. Here are some of the ingredients that can provide unique barbeque flavors. Alabama barbeque sauce is mayonnaise-based “white sauce”. East Carolina barbeque sauce is vinegar based sauce spiced with ground black pepper and hot chili pepper flakes. Hawaiian barbeque sauce is sweet soy sauce based with fruit juice (typically pineapple) spiced with ginger. It may also have other sweet ingredients such as honey and molasses. Kansas City barbeque sauce is thick tomato-based sauce with molasses and vinegar. South Carolina barbeque sauce is typically yellow barbecue sauces made primarily from yellow mustard, vinegar, sugar and spices. 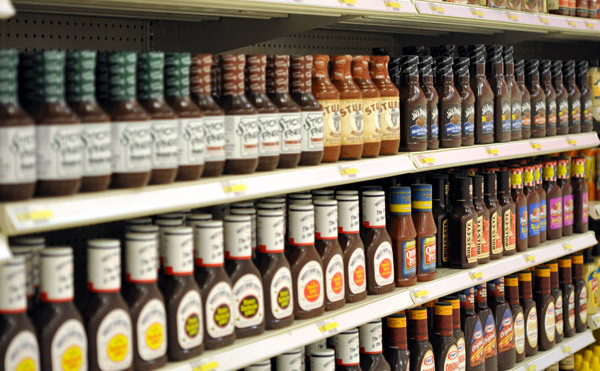 Tennessee barbecue sauce usually has equal portion of tomatoes and vinegar, and often worcestershire sauce. Texas barbecue sauces are either thick tomato-based or thin peppery sauce with influence of Tex-Mex seasonings. I love bbq sauce, especially homemade. Your flavor suggestions sound tasty! @ Joanne, indeed home made barbeque sauces are amazing. Here, I have just given a few suggestion to customize store-bought barbeque sauce. Thanks for the gr8 suggestions. To that list, I will add–minced garlic, minced ginger, wine, and lemon grass. I too wonder about adding sweetness to meat–I still cannot understand why people will spread cranberry jelly on slices of turkey (though they are delicious separately). General Tso’s is the only sweet meat prepartion that appeals to me.